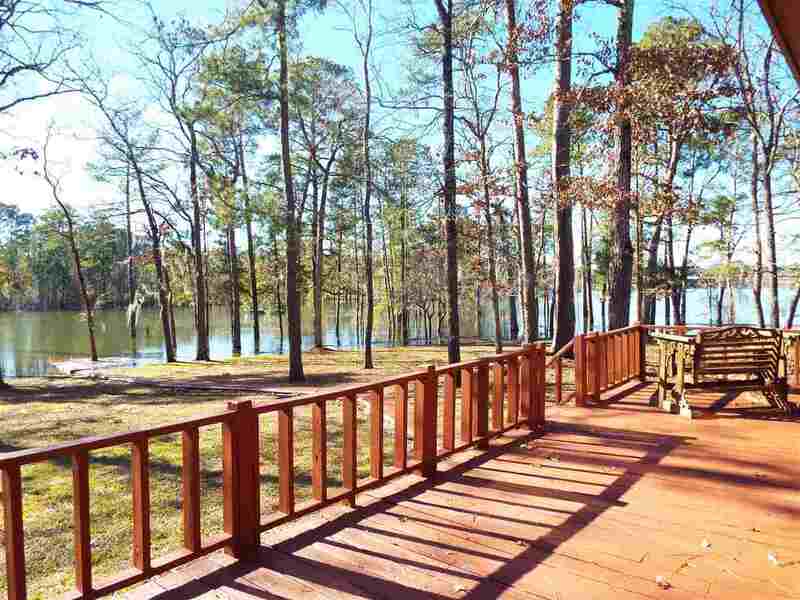 LAKEFRONT HOME w/ beautiful views. This 3 BD, 2 BA home has an open floor plan with the kitchen, dining, and living areas all open to each other. The living room has a fireplace and 4 large windows that look out to the LAKE. My favorite room is the SunRoom with lots of windows to see the LAKE. 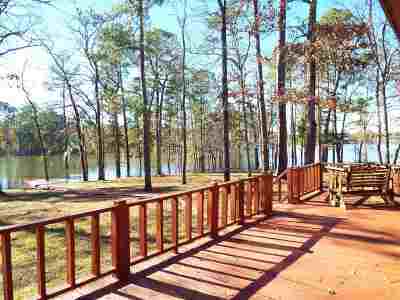 A wood deck and wooden walkway lead you to the LAKE. There are two small storage buildings. LOCATION LOCATION LOCATION, along with 8/10 of an acre, this is a GREAT DEAL! ................. LIVE, LOVE, LAKE !!! Bath Description: Two Bathrooms: One Is A Hollywood Bath Between 2 Bedrooms.